Get Into the Summer High with Penshoppe! Whenever Summer comes around, I get so giddy because its my favorite season. Gone are the jackets and warmers because its the time bikinis and tank tops once again. And thankfully, Penshoppe's 2011 Summer Campaign has the most fabulous Men and Women's clothing and apparel line for this hot and feisty season. These summer outfits are great for your upcoming out of town trips because they are light to pack and are surely comfortable. And because Penshoppe created this summer clothing line, you can be sure that they are 100% in quality. The maxi dress is perfect for the beach! By the way, did I mention that I always loved wearing flats? My friends call me a wanderlust because I always make sure to go to a vacation spot every year. This 2011, I'm planning to see the Hundred Islands. And when I saw these babies, I just got to have a pair (or maybe two or three). Below are the pretty and colorful flats that are now available at Penshoppe. 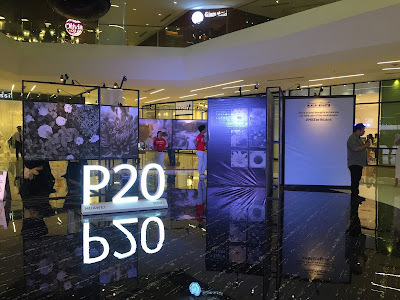 Prices starts from Php579. This summer, you need to not only look good, but to feel and smell good! 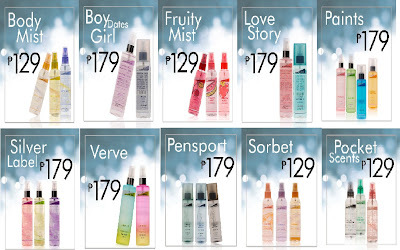 And with these Penshoppe Summer Scents, these refreshing body fragrances might even help you hook up a summer love. Make the most of the summer season with Penshoppe's 2011 Summer Campaign. From head to foot, they can surely bring your atmosphere more fun-loving, spunky and delightful. Visit the nearest Penshoppe boutiques now and fill your list with these summer must haves! Lisa (Reese Witherspoon) is a player from the US National Softball Team. When she was considered “old” to play for the team, she gets cut from the program and tries to rediscover her life goals. But her life took a slight curve when she started dating Matty, (Owen Wilson) a goofy and shallow baseball pitcher whom she thought was just good for her – a no strings attached relationship for the meantime. As she figures out how crappy her situation is, Lisa also met George, (Paul Rudd) a businessman dealing with a problematic lawsuit but has an attitude of running away with his problems. In the middle of all their dilemmas, they all found themselves in a middle of a love triangle. This movie deals with, well, problems. One doesn’t want to talk, one literally runs away from all the talk, and the other’s just there to prettify the screen. I love Reese Witherspoon and all her movies but this one kind of sets back the whole Girl Power thing she’s possessing in every movie. It’s simple and precise. Though if it weren’t for Reese, I probably wouldn’t see it. 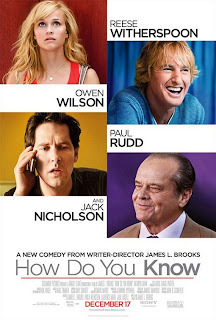 A half and a laugh though to Owen Wilson’s character, especially his crazy antics. Best for moviegoers who needs a feel good love story chick flick. 3 Stars for this film. Launched last March 9, celebrating Ash Wednesday was the milestone that was Century Bangus Kabayaki, a lightly breaded and deep fried “bangus” dish that specifically uses Premium Century Quality Bangus belly line topped with special Kabayaki sauce with Beansprout over steaming rice. 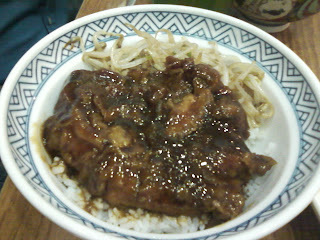 I enjoyed this sweet and succulent dish because of its tasteful Kabayaki sauce and the tenderness of the Century Bangus. 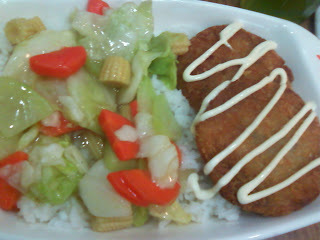 It is available at all Yoshinoya outlets for only Php140 per order. 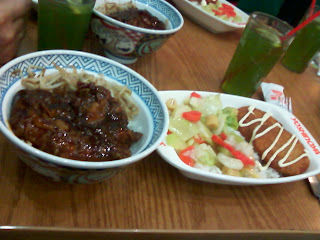 Yoshinoya is my number one choice when it comes to Japanese dishes. Beef Yakiniku is definitely my sought after meal when I go into their store. I also can't get enough of their Apple Green Tea since its healthy and delicious. Mr. Ricardo Y. Logarta, AVP for Operations said, "This 2011, we will offer several new products to entice more customers to try Yoshinoya. Japanese food segment is currently on the rise in the Oriental Food Market. We are known for our Beef Bowl and we would like to be known with our other dishes as well". Now I can't wait for more of their yummy dishes to come. As an added treat, the Century Pacific Group served Century Bangus Dishes that are healthy, rich in Omega-3 DHA and are preservative free that's seasoned only with natural ingredients and spices. Fresh from Southern Mindanao, the Century Bangus Products such as Century Bangus Fillet, Century Bangus Chunks, Century Bangus Sisig, Century Quality Premium Boneless Bangus, and the new Century Quality Premium Boneless Bangus Tocino are definitely delicious and top of the line. Our appetites were filled with dishes like Century Bangus and Farfalle a la Genovese, a pesto dish mixed with cream, Century Bangus Salad with Caramelized Pear and Walnuts, a yummy salad that is best for people on diet like myself and Century Bangus and Kani Burrito, a Japanese inspired dish that can be compared to a sushi slash burrito. 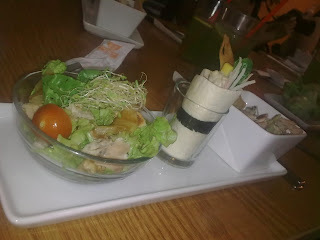 I was so full yet satisfied after this foodie event. It actually changed how I look into "Bangus" dishes. Now with Century Pacific Group's new offerings, serving fish into your daily diet is much more convenient and sure fire healthy. 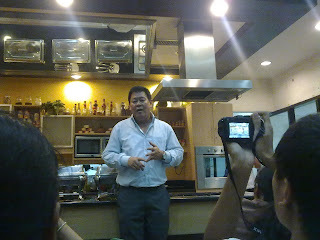 Many thanks to Yoshinoya, Century Pacific Group and Ate Ro for this tasteful event. Fit, Fab and Free of Stress this 2011! My work and basically my life is so hectic these past few days. Sometimes, I barely have the time to jog again or go to a gym. 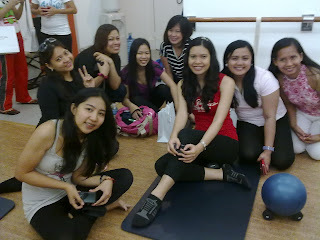 But when Belle De Jour Power Planner invited 15 girls to sign up for their first Passion Series this 2011 for a Barre3 Class, I didn't hesitate to join this eventful Saturday afternoon. For those who are new to Barre3, it is a workout that originated in Portland, Oregon which combines the grace of the Ballet Barre, with a wisdom of Yoga and the strength of Pilates. According to their website, "Barre3 classes are set to an upbeat soundtrack and follow a vigorous pace moving through a sequence of postures designed to shape and lift the entire body". And Philippines is the third country where Barre3 was introduced. It is a 60-minute workout that tones your body and increases your posture. 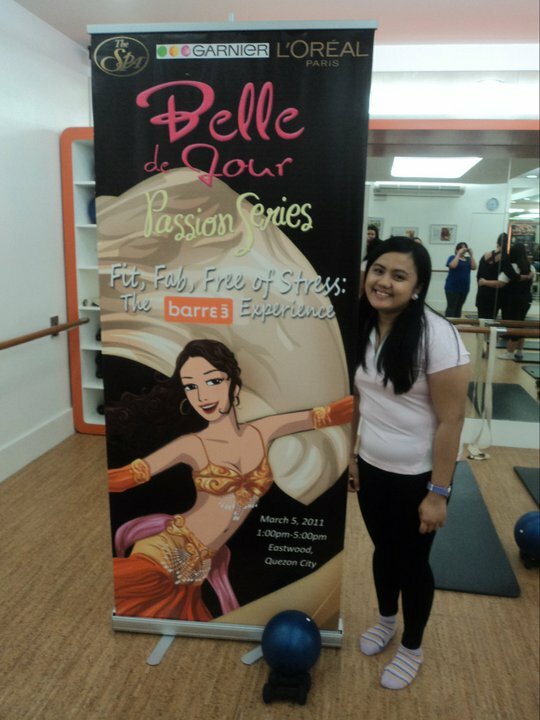 Our instructor, Ms. Faye, told us that Barre3 isn't really designed for weight loss, but instead, it provides "inch-loss"and results doesn't come out of your weighing scale, but loosening of your clothes. True enough, Barre3 relieves stress. After the tiring workout and all the stretched muscles, my body was a sore, but it was definitely worth it. Plus the Barre3 tools really helped release the tension I was having the whole week. It wasn't Black Swan-esque but I felt light and tall after the workout. Thanks Belle De Jour Powerplanner for organizing this exciting event. And also thanks to L'oreal, Garnier and Coffee Bean and Tea Leaf for our goodies! 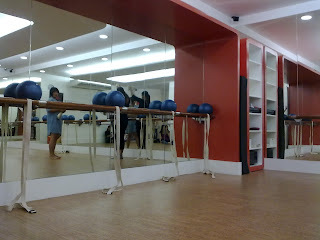 Barre3 Eastwood is located at The Spa, 2nd Floor Eastwood Mall (inside Richmonde Hotel), Eastwood City. For a trial workout, you can schedule by calling them at: 709-6868 ; 7097878.